As a business owner, marketing should be at the top of your every day hustle next to being the best in what you do. Serial entrepreneurs know how essential marketing is that they spend tons of money advertising their businesses. I’m a freelancer running a small business who doesn’t have that much budget for marketing. I cannot say that I’ve already figured out “the best” way to do it, but for the last seven years of trial and (a lot of) errors I’ve managed to make a list of strategies that work best for me without spending a single penny. 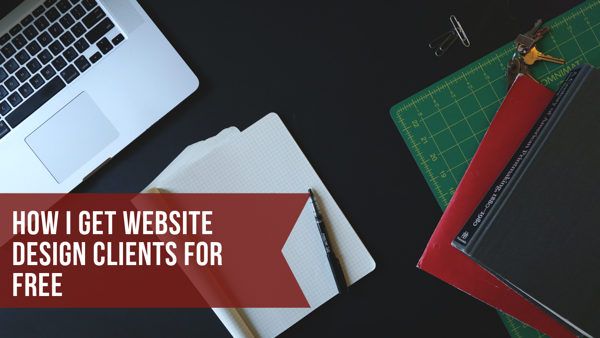 Here’s how I get website design clients. When I was starting as a freelancer I would go job hunting on OnlineJobs.ph, a free job listing website. I set up an account and browse through the lists of “WordPress” and “Virtual Assistant” jobs that are available. Then I will contact each of these job listings. I’d normally get two or three replies out of 10 emails from people I reach out to. And I would land on a successful deal out of 15 outsourcers that I’d talk to. So if you do the math that’s around 75:1 – I’d email 75 people and get one gig. From personal experiences, general VA gigs from OnlineJobs.ph ranges from $300 up to $500, that’s for 160 hours of work. Cheap, I know, but it’s not that bad for a starter. And although that’s the case, I worked as hard as I would for a high paying gig which resulted to having some of my early clients as my business partners. I’ve been following Gary Vee and he’s been preaching about sending direct messages (DMs) to your target audience on Instagram. I get that this move can be seen as spammy and there will surely be debates as to whether it is ok to do it or not. But if you think about it it’s pretty much like knocking on someone else’s door offering them your business. People are free to entertain or ignore you. 1. I’ll think of possible hashtags my target clients could be using. I’d then do a search on IG. This will show me posts of people that are passionate about that specific topic, idea or cause. For you, say you are selling a dog costume, you can search the following hashtags; #ILoveMyDog #MyFurryFriend etc, you get the idea. 2. Then I’d go through about 30 accounts that posted something using the hashtags I searched. I will scan to see if they don’t have a website yet then straightly DM them offering my website design. And if they already have a website, I will see if there are things that need fixing and then send them DMs offering a website redesign. This strategy takes patience as a stranger’s DM normally would land on the “other” inbox and would likely be ignored. But when your target audience are into IG, and you will know it if they are replying back to comments on their posts and that they post regularly, you will surely get responses. You may have already heard that “birds of a feather, flock together”. This has been my foundation as to why I use Facebook for attracting potential clients. It means that like minded people associate with each other. And it also means that my target clients would likely be in a Facebook group where they all hangout. So it’s crucial to know who your target clients are. What I do is I would join to these groups. Then I’ll answer questions on people’s posts, particularly the ones that I am familiar with. Every now and then topics like “graphics”, “hiring a VA” or “WordPress issues” will come out. And when topics like these arise I make sure that I add my two cents. The key is to give value and give value generously. The aim is to introduce my self as “the authority” to these topics. The next thing I know I’ve got people sending me private messages asking for (1) more of my advice and/or (2) more about me and my services. Like using Instagram, this method takes time as building people’s trust does. I have had clients that at first hired me as a VA to update and tweak WordPress websites for a few bucks. But after knowing what I can do, they end up having me build an entire website for their customers. This is called “white label”, where my service gets rebranded by clients to make it appear as if they made them. What I love about this approach is that I still get the same price as my normal web design projects and the fact that my clients will do the marketing for me. I don’t really mind them replacing my name on the website’s footer credits and replacing it with theirs. This is by far my best source of website design clients. I must say that 80% of my works for 2018 has been from my happy clients telling their networks about me. Remember #3? My clients belong to networks or tribe of business owners. Now the way you’d do it will depend on the way you work and the type of clients you want to work with. If you’re a freelancer like me, I would encourage you to scan through your former clients and see how you ended up working with them. When you see a pattern, I recommend that you spend more efforts on what works the most. It’s good that you are the best in what you do but at the end of the day your target clients should know that you exist. You do fantastic work I am one of the ones who became a a very satisfied customer because of a friend who recommended you. You’ve help me so much!! Your work is excellent!! You are fast and efficient! !